In February 27th, the 2th day of the second month of the Chinese lunar calendar, known as the "dragon head", the domestic leading brand of Dongguan city intelligent laser light, laser Polytron Technologies Inc (stock abbreviation: GBOS stock code: 870145) today in the stock transfer center hall held a new three board listing ceremony. 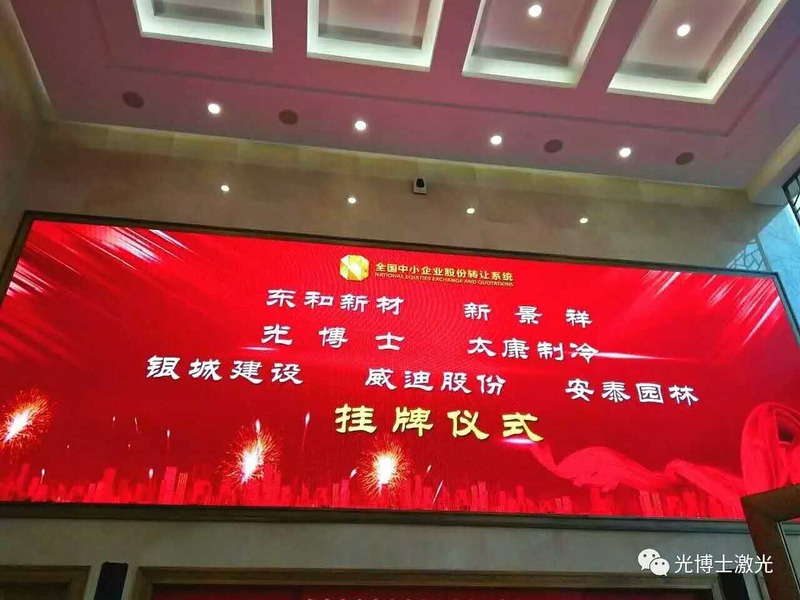 At the listing ceremony, chairman Liu made a speech as a collective listed enterprise representative. He said: "I hope GBOS laser with three new board listed as a new starting point, new opportunity, make good use of the new board of the platform to fulfill the obligations of information disclosure, strengthen scientific management, establish a good corporate brand image, with excellent performance of social return, return to shareholders and investors. Forceful support of new and old customers, suppliers, family and friends.